Rice is one of the most widely consumed staple food in the world. In fact, more than 3.5 billion people (i.e., half the planet) rely on these miniature grains for more than 20 percent of their daily calories. But some types of rice are healthier than others. The general rule of thumb is, the whiter the rice, the less nutritionally dense it is. The darker varieties of rice (brown, red and black) contain the whole grain, which includes the fibrous brain, the nutritious germ, and the carb-rich endosperm. White rice, on the other hand, is processed and stripped of its nutritious content — this can lead to a spike in blood sugar levels and an increased appetite. Additionally, how you store your rice is important. 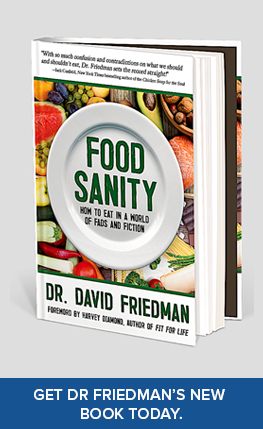 Dry, uncooked white rice is stripped of its ‘living’ whole food nutrients and can last indefinitely in your pantry. However, dry, uncooked brown rice will only last three to six months in the pantry, six to 12 months in the fridge and 12 to 18 months in the freezer. If you’re concerned about your weight, black rice is the best option. It’s chock-full of vitamins, minerals, and fiber. Black rice makes you feel full, thus it prevents overeating. 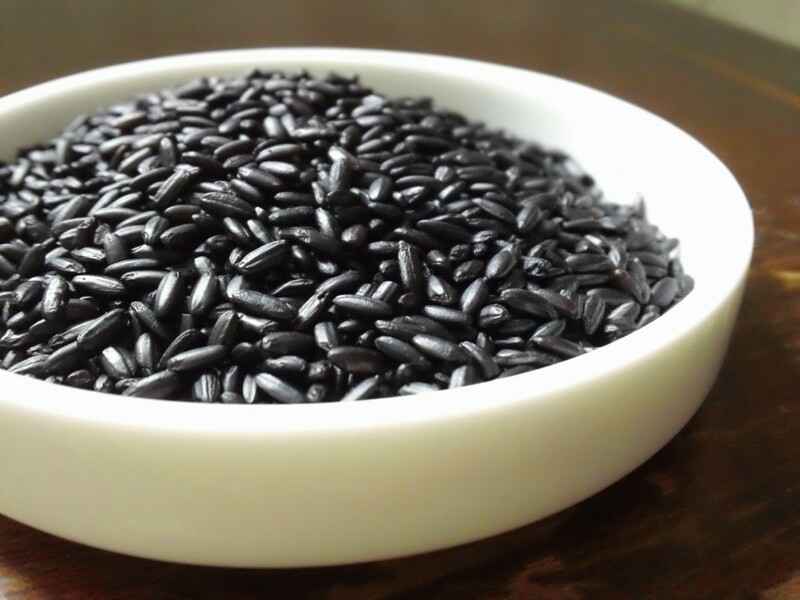 Black rice can help prevent insulin resistance, which is often linked to the risk of developing diabetes and obesity. Botanically speaking, wild rice is not really rice, it’s considered grass. Wild rice contains an array of nutrients, including protein, manganese, phosphorus, magnesium, and zinc. These combined nutrients are vital to maintaining strong bones, muscles, ligaments, and healthy joints. 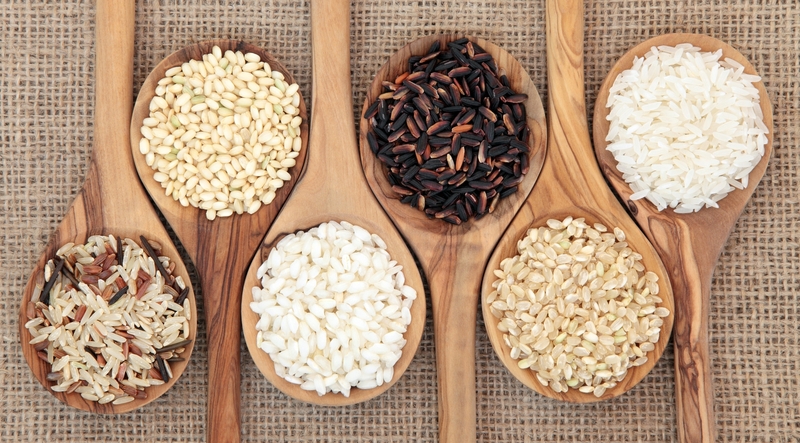 Wild rice has 30 percent fewer calories than brown rice and offers 40 percent more protein. Wild rice has the ability to help balance sugar levels in the body. 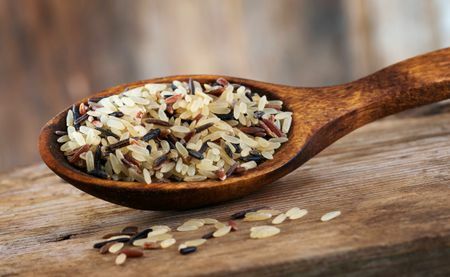 In fact, replacing white rice for wild rice can aid in reducing insulin resistance, and also lowering triglyceride levels. 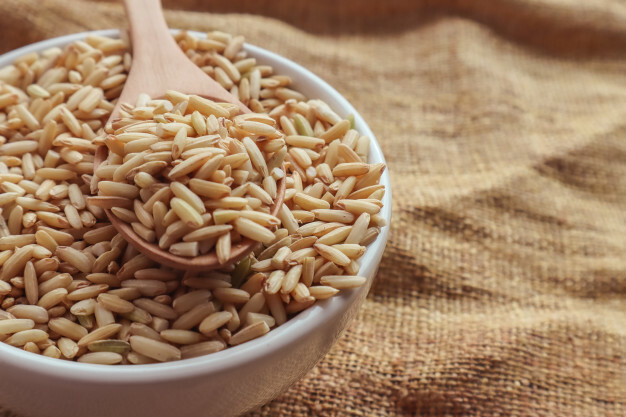 The reason it has such a great effect on glucose metabolism and insulin resistance is that wild rice has a high amount of fiber, magnesium, and other essential minerals known for the role at helping to lower blood sugar and regulating the metabolism. A serving of wild rice is lower in calories than other rice varieties, so you can enjoy it without worrying about gaining weight. Brown rice gets its color, flavor, and texture from the bran layers that remain on the rice when it goes through the hulling process. It retains the healthy bran layers because it’s milled for less time than white rice. There are four different types of brown rice — short grain, medium grain, long grain, and light brown. Each variety has similar health benefits but requires a different amount of times to cook. Brown rice is chewier than white rice, has a nuttier flavor and is more nutritious. Brown rice has 4 times more magnesium than white rice. This mineral is crucial for heart, bone, muscle and brain health. 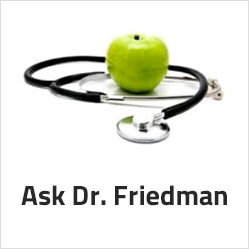 Unfortunately, over 50% of Americans are magnesium deficient. Brown rice is also a good source of thiamine, zinc and iron. When comparing the glycemic index (how quickly sugar gets absorbed by the body,) brown rice is a better option than white rice. Also, because brown rice contains nourishing vitamins and minerals, opting for brown rice with your moo goo gai pan at your favorite Chinese restaurant will keep you fuller longer. Brown rice offers 88% of the daily requirements of manganese, a mineral that aids in collagen production and supports healthy skin, ligaments, and joints. What’s more, people who eat brown rice instead of white rice can decrease their risk of type 2 diabetes by 16 percent! Although not technically in the “rice” family, cauliflower rice has become a popular substitute. You can purchase it already made or easily prepare it yourself. 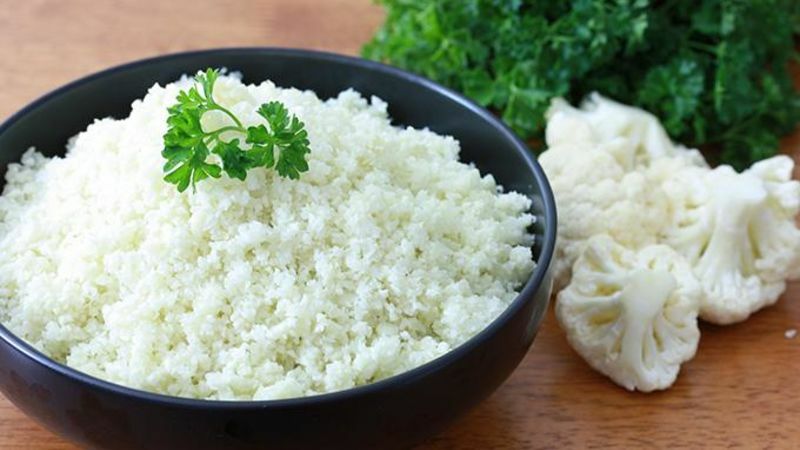 While white rice typically contains less nutritional value than it’s darker counterparts, this rule doesn’t apply to white cauliflower rice. It’s very low in calories and offers almost every vitamin and mineral from A to Z! It’s loaded with healthy fiber, which is important for digestive health and helps to prevent colon cancer. Cauliflower is high in glucosinolates and isothiocyanates, two groups of antioxidants that have been shown to slow the growth of cancer cells. Cauliflower is a good source of choline, a nutrient many people are lacking. It is involved in many processes in the body and works to prevent several diseases including heart disease, dementia, and Alzheimer’s Disease. Cauliflower is rich in sulforaphane, a plant compound with many beneficial effects like reducing the risk of cancer. Because rice can often leave dishes feeling heavy, cauliflower rice is a nice lighter substitute and a great way to add another serving of vegetables into your meal. Red rice is a variety of rice that is colored red by its anthocyanin content. This compound helps to reduce inflammation, allergies, prevents cancer and helps in weight management. 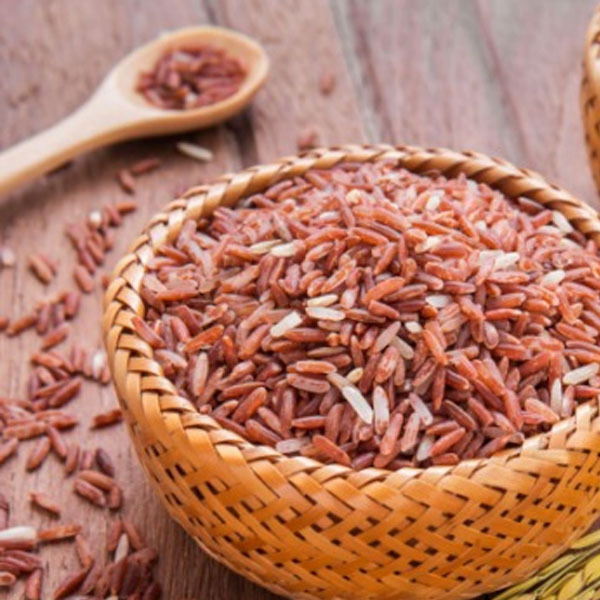 Red rice contains manganese, which can help strengthen bones, reduce painful joints, aid in weight loss and reduce symptoms of premenstrual syndrome (PMS). Because it’s less starchy than the whiter varieties of rice and has a low glycemic index, red rice is an excellent choice for diabetics. Xuezhikang, an extract taken from red rice, is good for people with cardiovascular diseases as it can greatly lower LDL (bad) cholesterol. The reason is, it contains a compound called monacolin K which acts like the drug Lovastatin which is prescribed by doctors to lower LDL cholesterol levels. If you have heart disease, going with a red rice option is the healthiest pick on the list. Basmati rice is highly valued for its fragrance as well as flavor. In comparison to jasmine rice (which is known for being thin grained), basmati is actually thinner. Basmati rice is also slightly softer than jasmine rice, with a less nutty flavor. This makes basmati an easier to digest rice option, especially for people with gut issues like irritable bowel syndrome. Basmati rice contains healthy carbs that can boost your energy, making it a great rice option for athletes. Basmati is a good source of niacin and thiamine. These two nutrients support a healthy nervous system and aid in combatting depression and memory loss. If you’re wanting white rice but looking for a healthier option, reach for jasmine. This aromatic rice only contains 4 grams of protein per cup, making it a viable choice for those who are on a low protein diet. Unlike plain white rice, which is stripped of most nutrients, jasmine rice contains iron and niacin, which helps aid in the production of red blood cells in the body and converts carbohydrates to glucose for energy. 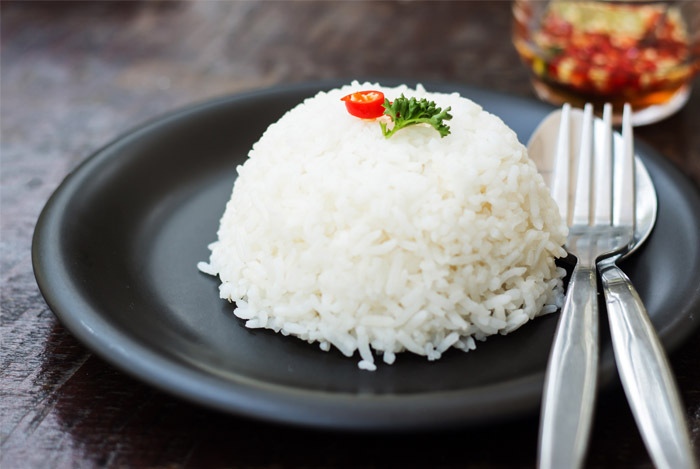 White jasmine rice has a high glycemic index and may cause a spike in blood sugar, so diabetics should avoid it or opt for the brown variety of jasmine rice. It supplies 14 percent of the daily iron intake requirement for men and 6 percent for women. Iron plays a crucial role in supplying your body with oxygen so it can function properly. Grown only in Italy, Arborio rice is what makes your favorite risotto dish creamy and delicious. 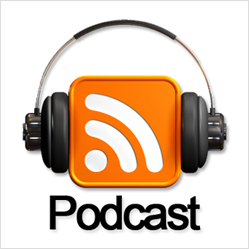 The extra creaminess is credited to its high starch content. Although Arborio rice contains some protein and fat, almost 90 percent of the calories in the rice comes from its carbohydrate content. It offers vitamin A, C, iron and a lot of protein (9 grams per serving,) so if you are trying to bulk up at the gym, this is a great option. However, if you are trying to lose weight, Arborio rice isn’t the best choice. Because Arborio rice is starchier than any other rice, it also has a higher glycemic index and isn’t a diabetic friendly option. White rice is a refined carbohydrate, similar to those found in white bread, flour tortillas, and most breakfast cereals. The husk, bran layer and the germ are removed. As a result of this extraction, white rice doesn’t offer the vitamins and minerals that brown, black and red varieties do. To be considered a “whole grain rice,” it must include all three layers. 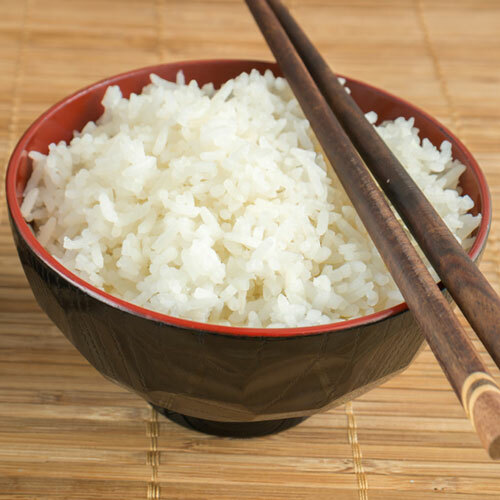 White rice is stripped down to the endosperm, which contains mostly carbohydrate and a little protein. Because white rice is an “empty food,” void of nutrients, it gets digested quickly and is rapidly processed into sugar. This leaves you hungry shortly after eating it, which explains why you feel like stopping for a big mac on the drive home from the Chinese restaurant. In comparison, brown rice is processed slowly, churning out a steady stream of fuel to power your body. Because white rice has a high glycemic index, it will cause blood sugar to spike and therefore not recommended for diabetics or those watching their weight. The more refined grains you eat (like white bread and white rice), the more likely you are to gain weight. By contrast, the more whole grain foods you consume (like whole-wheat and brown rice), the less likely you are to gain weight. While many people order fried rice, believing it’s a healthier option, it’s actually just white rice that’s been stir-fried in a wok or a frying pan which is usually mixed with other ingredients such as eggs, vegetables, seafood, or meat. Sticky rice is also called “glutinous rice,” but does not contain gluten. Glutinous rice gets its sticky texture from high amylopectin (a type of starch) content. When activated by hot water, amylopectin breaks down easily. Sticky rice has negligible amounts of nutrients and is not a good source of fiber, vitamins or minerals. It’s even unhealthier when paired with rich sauces or fried foods. 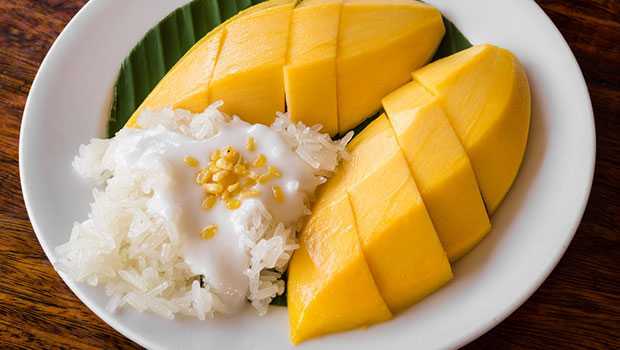 Thai sticky rice, is commonly sold at Asian restaurants as a dessert. It ’s made with sweetened condensed milk, coconut milk and mango sauce (containing high fructose corn syrup!) This added sugar increases the calorie content and significantly raises blood sugar. Sticky rice isn’t a diabetic friendly option.